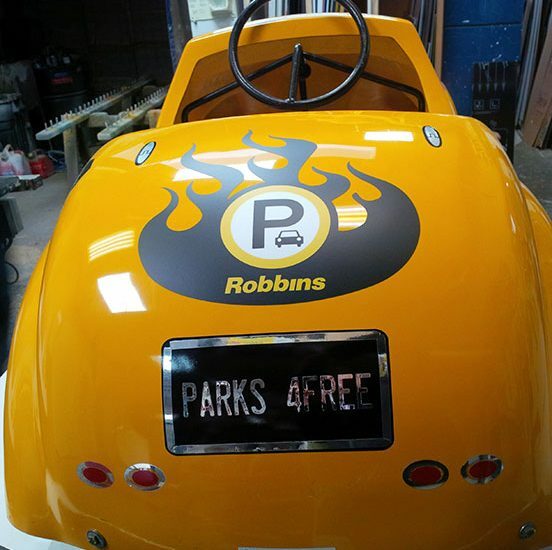 Robbins Parking > Community / News > Community > A Hot Rod Promoting Safety! A Hot Rod Promoting Safety! We’ve just designed this little hot rod for the BC Tom Thumb Safety Program, sponsored by BC Hazmat. Can’t wait to see the kids peddling this one around!